When I was in Fort Lauderdale for the opening of my exhibition in May, my friends and I took the opportunity to take in the sights and sounds of south Florida's Atlantic coast. 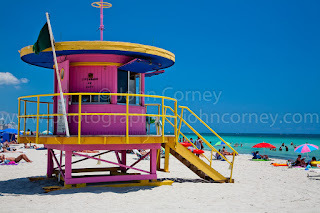 Of course we visited Miami, and here's a photo I took of one of the fabulously colorful lifeguard stations on South Beach. 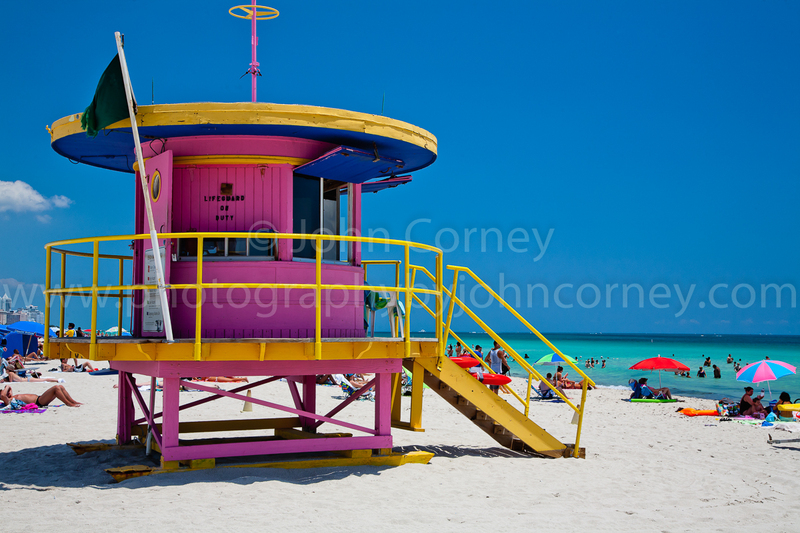 What can be more iconic of South Beach than these lifeguard stations?